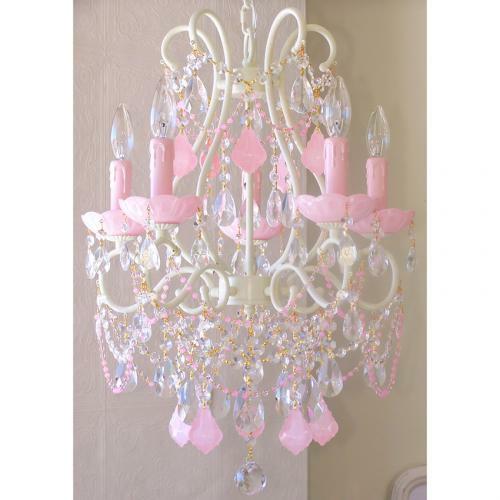 Pink Crystal Chandelier - This beautiful 5 light chandelier is adorned with brilliant Milky Opal-Pink French pendants and matching bobeches. 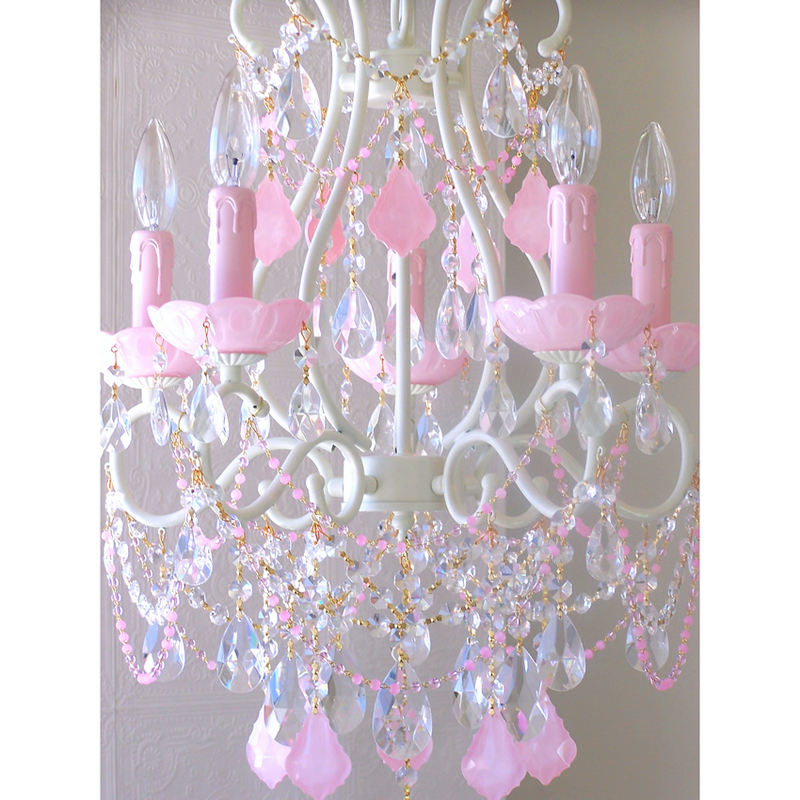 Tons of crystal teardrops and layers of crystal chains add sparkle and shine and create a unique and luxurious room. 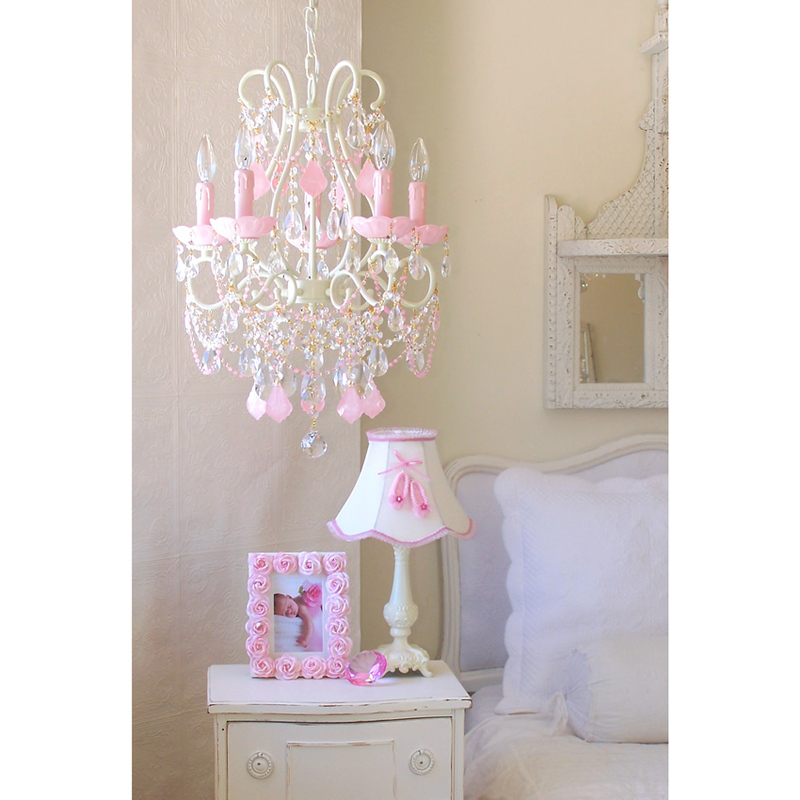 Comes ready to hang with a matching ceiling canopy and a 22" matching chain. This order is custom made for you upon order and may not be returned.